As a child, jumping on a trampoline can provide hours of entertaining fun. Being bounced into the air like you weighed nothing at all, then landing with all the grace of an Olympic gymnast, there was nothing that brought more pleasurable enjoyment then the simple device known as a trampoline. As an adult, the same piece of equipment that made you feel light-headed all summer long is now getting a new image as the next step in the every-changing world of exercise. 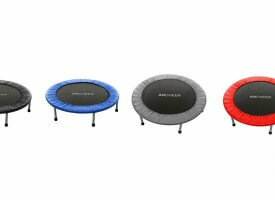 Although the trampolines being marketed today are a mini-version (sized for only one person) of the trampolines children generally bounce on, they are purported to have the same fat-burning abilities as the larger-sized ones. 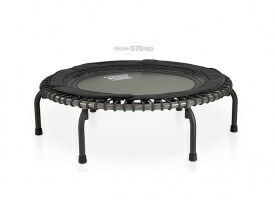 In fact, the American Council on Exercise has recently predicted that rebounding (a phrase referring to the full-body exercise that can be achieved using nothing but a mini-trampoline) is fast becoming one of the hottest fitness trends today. Websites with exercise tips, complete with diagrams and full descriptions, abound on the Internet. There are also rebounding classes available at many fitness centers and trampoline parks around the country where you can learn the proper positions and movements necessary to maximize your fitness regiment. 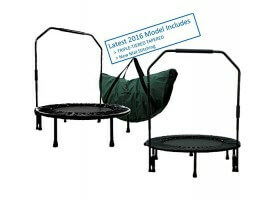 One of the leading mini-trampolines on the market today is the Urban rebounder. Made from a strong woven mat surface and sporting a 28 inch diameter surface, the Urban rebounder can sell for upwards of $300 in most retail stores, with a package including three DVDs and a carrying bag being offered on television for $340. There are two types of Urban rebounder available, one for home use and one for gym use. The only real difference between the two is that the home trampoline is built to hold 300 lbs. 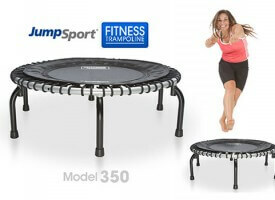 of weight, while the gym trampoline can hold up to 350 pounds. Unlike the trampolines of your youth, the Urban rebounder is woven much tighter, and therefore a bounce of only two to three inches is typically possible. That small bounce is more than sufficient enough to work you’re the muscles in your legs and abdominal. And did you know that jumping on the Urban Rebounder can burn up to 1000 calories in just one hour? 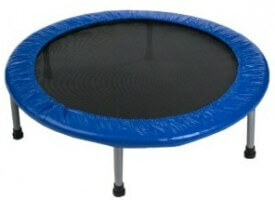 Exercising on a mini trampoline also has health benefits beyond burning calories. 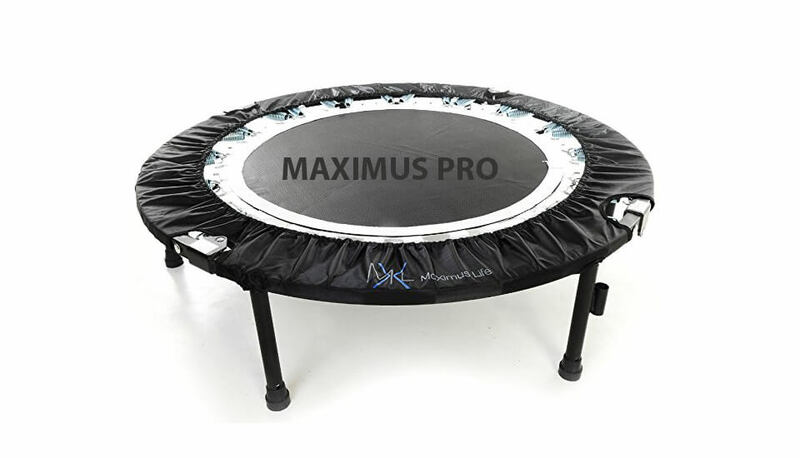 Because the soft surface of the trampoline absorbs a high percentage of the shock that would normally hit your feet when bouncing or running on a hard surface, your joints are better protected from wear and tear to your joints associated with most workouts. Less injury to your joints means less pain after your workouts, which also means you are more likely to keep up a regular exercise routine. Often those starting out on other regiments will hurt themselves and give up altogether. 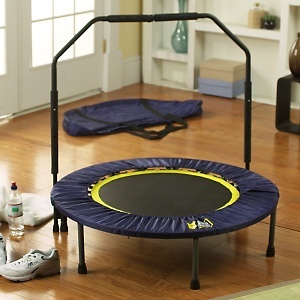 With rebounder, keeping up with a daily exercise routine can be enjoyable, instead of painful. Unlike the majority of aerobic exercises available today, which are primarily geared towards women, men can enjoy the health benefits of the Urban rebounder as well. Also, it is safe for children as long as an adult is supervising. So refresh those memories of summer days long past and get out there and bounce, bounce, bounce! Check out @Workout for beginners” video!